I finally got a chance to see "Hidden Figures". I loved it and plan on seeing it again. Every little girl needs to see this. It would have special impact on African-American girls. I'm a mathematician and found it difficult at times to operate in a "women-aren't-good-at-math" world, so I related to this movie. I understood the prejudice towards women but I have not had to suffer prejudice due to skin color. The story is true. 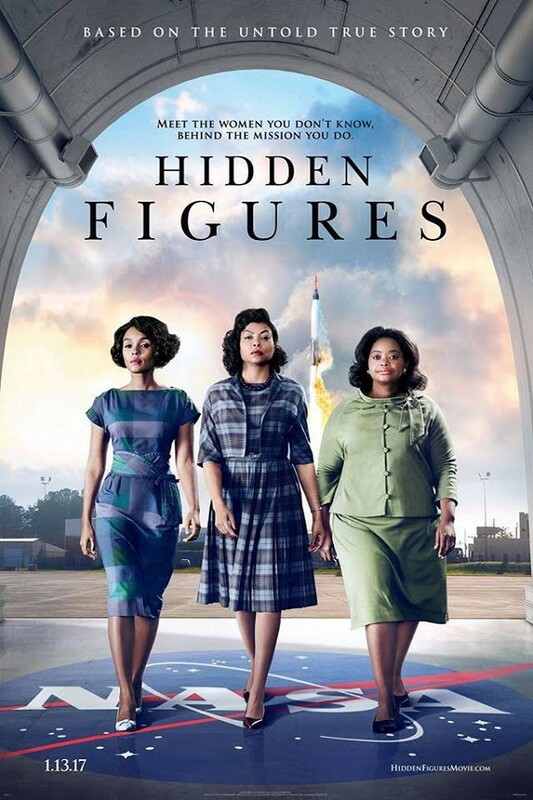 The lady who wrote the book approved of it as did the real-life Katherine Johnson, the main character, played by Taraji P. Henson. Katherine graduated from high school at 14 and college at 18. She went to work for NASA before actual computers. The women who did ALL of the computations by hand for the first flights by the Mercury astronauts were themselves called computers. She was so accurate that John Glenn wouldn't go up until Katherine had checked the numbers. Octavia Spencer played Dorothy Vaughn another computer who taught herself and others programming so they'd have a job when mechanical computers came in. A third lady, Mary Jackson, played by Janelle Monae wanted out of being a computer and become an engineer. These three ladies are so very inspirational that it brought tears to my eyes. If I was still teaching math my kids would see this movie. Three things you should do: stay to the very end to see pictures and further information on the ladies, read the trivia provided on IMDb.com and of course see this movie! So go. Have fun. Eat popcorn.